Simplify your installation and beautify your home. When you think of a cabinet, you probably think of those square things hanging on the wall in your kitchen, right? 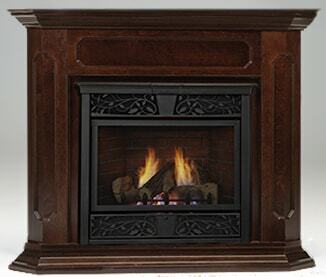 A fireplace cabinet is really no different. It’s a pre-made home for your fireplace. Avoid cutting and framing and remodeling your room; use a cabinet instead! Within just a few hours, you too can have the fireplace you’ve always wanted. 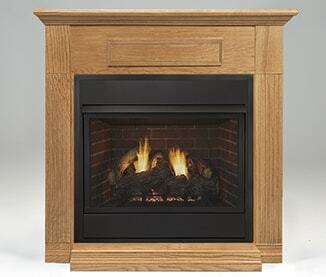 Wallet friendly and simply styled, our basic cabinets are a budget-conscious way to feature your new Monessen fireplace. Available in Honey Oak, Dark Cherry (shown) and Unfinished. 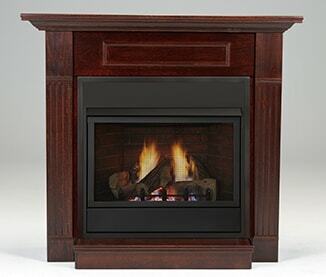 Wallet friendly and simply styled, our basic cabinets are a budget-conscious way to feature your new Monessen fireplace. Available in Honey Oak (shown), Dark Cherry and Unfinished.